DHA and EPA are essential omega-3 fatty acids. Your body can't make them on its own, so you have to get them from your diet. Omega-3 fatty acids contribute to normal heart, brain, and eye functioning. Our omega-3 oil is totally vegan and sourced directly from algae. For you. For the planet. All information given per serving (2 capsules). Algae are the basis of the food chain and the foundation of all life. Algae contain the omega-3 fatty acids EPA and DHA in their most natural form. 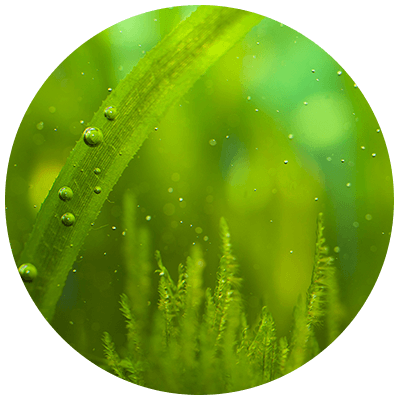 Our algae are specially cultivated in sustainable aqua cultures. In other words: no additives. Absolutely ultrapure. Perfect for your heart. The heart and brain are man’s most important organs. Omega-3 fatty acids are essential and help these organs function normally. When your body is balanced and your heart is healthy, you're better able to cope with stress. Perfect after every workout. Not a fan of fish? You probably have an omega-3 deficiency. You should take 250mg DHA and EPA daily to ensure you benefit from their full health effects. The human body can’t produce omega-3 on its own. One foodspring omega-3 capsule delivers 550mg of omega-3 fatty acids. Pure vitality. No additives. No fish. Our Omega-3 capsules. In a class of their own. Dietary supplements are no substitute for a balanced and varied diet and a healthy lifestyle. Do not exceed the recommended daily dose. Keep out of reach of small children. Take 2 capsules a day in the morning or evening with plenty of liquid. If you follow a vegan diet or a weight-loss diet, you may develop an omega-3 deficiency. This is because omega-3 is primarily found in high-fat foods like fish, eggs, and plant fats. Taking a regular omega-3 supplement can help you maintain your omega-3 levels. good product. totally happy with it. Omega-3 is a sub-category of the omega-n fatty acids, i.e. the polyunsaturated fatty acids. In total, there are 11 Omega-3 composites. ALA is an essential amino acid that the body cannot produce on its own. That is why they have to be obtained in food. EPA and DHA can be synthesised from ALA and are therefore not essential. The transformation process of ALA into other fatty acids is, however, very inefficient. An additional intake in capsule form is therefore a good idea to ensure a sufficient supply of DHA and APA. Omega-3 fatty acids support the normal function of numerous organs. It may be due to the general "anti-fat hype" of recent years that many people no longer cover their Omega-3 needs via their daily food intake. After all: this power substance of nature is found mostly in animal-based fatty foods and particular in fatty fish. If these are not part of your regular diet or if your training schedule is really full, then you can quickly develop deficiencies. A great supplier of Omega-3 fatty acids is fatty fish, e.g. wild salmon, herring, cod, tuna, sardines and krill. Eggs also contain the Omega-3 fatty acids EPA and DHA - albeit in smaller doses – and are therefore a good alternative source for vegetarians. Vegans have it a lot more difficult. Plant-based Omega-3 can only be sourced from specific algae and some plant fats like linseed or DHA-enriched flax oil. The supply for a vegan diet is therefore quite difficult because of the limited food selection available. Fatty sea fish can be very expensive – especially when bought fresh – and is not everyone's cup of tea in terms of taste. Omega-3 capsules are an excellent alternative. They ensure complete coverage in an exact dosage and are very convenient. Furthermore, a special filtering technique during processing can achieve a particularly high EPA and DHA density. 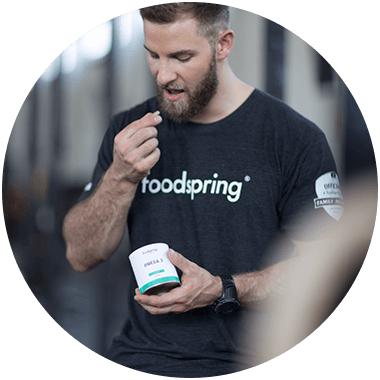 Special bonus of the Omega-3 capsules by foodspring: They are 100% vegan. DHA is an important component of the brain and the retina. It is therefore essential for their normal function. The fatty acid is efficiently absorbed by the brain and is then involved in the transmission of impulses and maintaining a keen eyesight. DHA and EPA support regular heart function and have a positive effect on the fatty acid ratio. The human body is unable to produce Omega-3. That is why a daily intake of 250 mg DHA and EPA is recommended. Many people do not cover their daily requirements via their food intake. In particular vegan diets often result in gaps in the Omega-3 supply. Supplementing Omega-3 capsules is therefore often the best way to ensure a sufficient intake of the important fatty acids EPA and DHA. They fulfil various vital functions. Omega-3 capsules are a great companion on your way to a beach body. Polyunsaturated fatty acids like Omega-3 acids are efficiently metabolised by the body. Fatty fish is the main natural source of Omega-3, but can often not be included in a body toning diet due to its high calorie content. Omega-3 capsules are great a low-calorie option. The vegan Omega-3 capsules by foodspring are very easy to use. We recommend taking 2 capsules a day with plenty of fluids to cover the body's EPA and DHA requirements. Pregnant women and children should consult their physician for the correct intake amount of Omega-3. You can take the capsule at any time during the day. A regular intake for several weeks is important for the positive effects to take hold. Omega-3 are fatty acids that occur naturally in food. We extract them from natural foods like fish or algae for a highly concentrated amount in our Omega-3 capsules. No side effects are to be expected if you follow the recommended intake. Long-term overdoses have hardly been explored to date, as they are virtually impossible with a normal diet. The market offers plenty of choice for buying Omega-3 capsules from pharmacies, drugstores and of course online shops. As a consumer you are spoilt for choice. It is, however, not always easy to distinguish between high and low quality products. You should therefore always take note of what is actually contained in the capsules on offer. The basis for a high-quality product with considerable health benefits is a perfectly harmonized mixture of EPA and DHA content. Of all the Omega-3 components, these two fatty acids are the true performance boosters. By the way: There is a difference between specifically Omega-3 capsules and fish oil capsules. The percentage volume of fatty acids in Omega-3 capsules is much higher than in fish oil products. The latter will often contain large quantities of fat without any health benefits. Another criterion to look out for is the origin of the raw material of which the Omega-3 capsules are made. 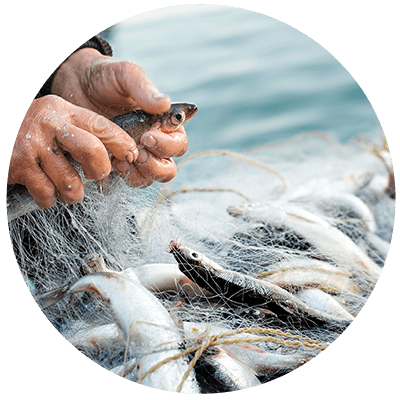 Many products are based on fish from fish farms. Firstly, the fatty acid profile of these fish held in unnatural conditions is not great. And secondly you aid in the proliferation of these bad conditions and animal suffering by buying these capsules. Fish-based Omega-3 capsules are not suitable for vegans. There haven't been many vegan alternatives available on the market to date. 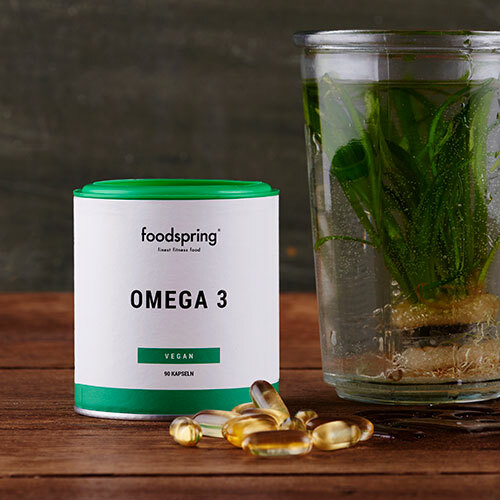 Omega-3 capsules by foodspring are produced directly from the oil of the microalgae schizochytrium. These microalgae are particularly rich in EPA. More advantages: They have absolutely no fishy taste. The gel capsules are just as easy to swallow as regular fish oil capsules. The eco-friendly cultivation of these algae is another plus for these plant-based capsules. How many milligrams of DHA and EPA fatty acids does algae oil contain? The Omega-3 content of 550 mg (250 mg DHA and 150 mg EPA fatty acids) in a portion of foodspring Omega-3 capsules delivers more than the daily required minimum amount of Omega-3 the body needs. That is a lot better than many fish oil products. Because it is the most natural and direct source of Omega-3. Because it skips the step “fish” in the value-add chain and therefore addresses one of the most relevant environmental problems we have today. Because the manufacture of algae oil does not destroy any ecosystems. Because it is sustainable and fair. Because the human body can process it perfectly and completely. More questions? Why is Omega-3 by foodspring better than other brands? We trust in natural raw materials for our products, both inside and out. 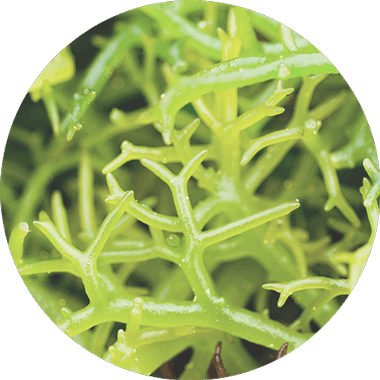 Algae oil is not only the most ecological, but also the most natural form of Omega-3 fats. We round off the concept with high-quality vegan soft capsules instead of cheap gelatine ones. How can Omega-3 support my training? An adequate supply of Omega-3 fatty acids is important. A regular heart function supports successful training. The better the overall function of the organism as a whole, the faster your body will recover. The human body cannot produce Omega-3 on its own. That is why it relies on external sources. With a daily dosage of 250 mg DHA, Omega-3 helps maintain normal vision and heart and brain functions. Omega-3 capsules will be back in stock shortly.